Market Report Spring 2018 - Ultra International B.V.Ultra International B.V. 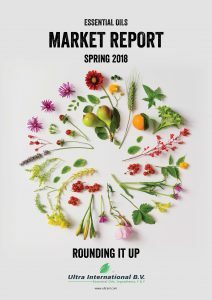 Welcome to our new Spring Market Report 2018 featuring over 100 essential oils! In addition our download version is packed full of additional articles including Vanilla from Madagascar, Hinoki Oil and nature’s aromatic treasures from Indonesia. DIGITAL version available. Click to DOWNLOAD and save it to your favourite pdf or iBook reader so you have everything you need to know offline and on the go!! Want to print this report page by page? Then click the PRINT button in the top left corner! Supply from Argentina remains limited, and consequently prices have firmed up. It is still too early to predict what the 2018 crop will look like. Suppliers tentatively suggested a similar crop to 2017, anything around 1.2 million tonnes of fruit is considered normal. Argentina’s production is slated to rise 100,000 MT to 1.4 million tonnes in a recovery from last year’s frost damage. Fruit for processing and exports are expected to rise with the larger crop. 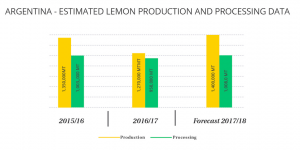 Lemons for processing are forecast to increase to 1.08 million MT from 992,000 MT the previous year. The market does seem quite stable at present, but we will be keeping a close eye on any movement as we approach the new harvest. The market maintained momentum with sales and production escalating at a healthy organic rate. The distillation facility has been upgraded, leading to availability of larger batch sizes. On-ground available stock implies accelerated turnaround times. The market remains firm despite enhanced capacity; with demand levels reaching a new highpoint in the aromatherapy arena. If the patent on the distillation process is renewed in 2018, then the monopoly stronghold continues unabated. If not, we must prepare for competition later in the year. We perceive significant progress for this variant of eucalyptus too. Production, as well as demand, commands healthy numbers as yield from established plantations and crop rotation is continued. Recent investments and augmentation of facilities have enabled producers to gear up for an increase in supply. Further, there is an availability of high quality (>90%) eucalyptol. The total size of Australian production is estimated to be not larger than 7 MT per annum. With demand soaring by almost three fold, the market remains under pressure to deliver. This has led to a rise in prices. Fresh investments have buoyed hope that by 2018 newer plantations will yield more available material. There are continuing investments into harvesting and distillation methods to supplement existing capacities across Tasmania with plans to produce as much as 5 MT over the next couple of years. These additional volumes have already been committed to the growing aromatherapy demand; so producers are looking at more investments. Fresh demand has resulted in further pressure; availability is scant despite supplies remaining firm. There is a growing demand beyond the means of suppliers to satisfy. The very low supply combined with sufficient availability of synthetic product has made the market difficult. There is a focus on culinary dry leaf production over oil production as it provides premium returns. The market is very difficult as there are limited reserves of stock available while there is high demand. Supplies have been limited due to continuous rainfall in the production areas. Plantations will only come into production when rainfall decreases. 2017 was the year when it did not stop raining, with record rainfall levels during the last 12 months. As it’s always in high demand, additional plantations are being established in Australia. 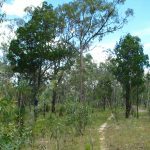 As different qualities of the same botanical are produced in different growing regions within Australia there is an availability of two qualities of rosalina oil in the market. 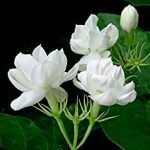 An introduction of a sustainable alternative in the aromatherapy sector (referred to as Southern Rosalina) has been encouraged due to limited supplies on the mainland. Market sentiments are positive and supplies are expected to improve in 2018. Despite the ongoing financial instability recently reported, there is an uninterrupted supply of Indian sandalwood oil from the two plantation producers. This ensures reasonable oil volume availability. This is an oil that is new to the market, but traditionally has been used for incense and carving. It is clear to brown, viscous (honey like), smooth, has a sweet woody aroma (with floral, rose and orange notes). Northern Sandalwood essential oil benefits are it is relaxing, grounding, calming, improves mental clarity, stills the mind. Northern Sandalwood essential oil aroma is smooth, fragrant, earthy, woody aroma like traditional Australian Sandalwood with beautiful soft floral, rose and orange notes, compared to our traditional Australian Sandalwood oil. Supplies remain sound with producers willing and able to supply 5 MT per annum. The plant is native to Tasmania and South East Australia. The plant is harvested for leaves and terminal branches. With almost 80% levels of alpha pinene, it is a wonderful anti-inflammatory and anti-microbial agent; and a popular ingredient in aromatherapy and Ayurveda products. The oil functions as an acetyl cholinesterase inhibitor and also a bronchodilator, thus acting as a broad spectrum antibiotic. Although commercial lines are still in the developing stage we have oil to offer. Currently we feel the fact that there are zero oil reserves in Australia. 2018 has opened with nil carryover stock from last year as production declined due to floods and heavy rains. The production season is due to commence in July to August 2018, assuming crops have time to recover from recent extremely hot (>43Oc) weather. Present production is affected as many farms are struggling with Pyrgo infestations, which is a tea tree’s primary pest insect. With the current interest and ongoing development work at the end user level, plans are in the offing to expand capacity, which is currently around 5MT per annum. Similar levels of production are also projected in the coming year 2018 since the cultivated area is well protected from unusual climatic conditions. In January 2018 the USDA forecast a substantial 15% year-on-year reduction in Brazil’s orange production to 17.3 million MT (425 million boxes of 40.0 kg) for 2017/18. Since Brazil is in the southern hemisphere, the Brazilian crop year begins in July and the USDA crop year estimates for 2017/2018 refer to the year beginning in July 2018. This estimated reduction is based on lower yields and an off-cycle year. Unfavourable weather conditions resulted in poor bloom and fruit set. Nevertheless, the crop is still larger than two years ago. Moreover, estimates could be revised upwards in May following new flowering at the end of 2017 combined with improved weather conditions. The USDA figure for the current 2016/2017 crop has been revised upwards to 20.4 million MT (500 million boxes). This increase is due mainly to favourable weather conditions, and reinvigorated orange groves recovering after an off year, which resulted in good bloom and fruit set and a larger size of fruits from the Sao Paulo and Minas Gerais regions. Sao Paulo state dominates Brazilian orange production, accounting for approximately three-quarters of output. The trends in Brazilian orange production and processing are summarised below. Alongside the number of oranges produced and processed, the size of the fruit can also influence the amount of orange oil produced. Thus, the bigger the fruit, the smaller number of fruit per box and the less overall surface processed which in turn means a lower quantity of essential oil. Because of lower orange oil production and a limited inventory the market will continue to remain firm. On a brighter note, recent data suggest that the impact of greening has stabilised over the past two years. An official survey in 2017 showed that 16.73% of trees in the main growing regions were affected by greening, compared with 16.92% in 2016. 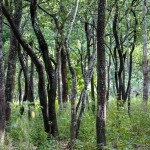 Good management practices including the removal of infected trees have limited the spread of the disease. The markets are stable. Due to its higher chamazulene content, the Bulgarian quality has maintained its position despite the emergence of new producers in other countries. It is reported that new areas are being planted with helichrysum; farmers are acting in the anticipation that margins will be higher than for lavender and melissa oils. There was a sense of disquiet within the farmer community with the margins afforded by traditional crops like corn and sunflower amongst others. 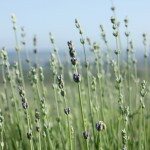 As a result they have diversified the lavender production areas in the last 3-4 years. The Dobrich area in north east Bulgaria experienced the biggest expansion of new lavender plantation.. Also there has been a constant increase in the lavender oil price in the previous 3 years. Local farmers are confident that lavender will yield better margins than traditional crops. In the next 5-6 years, planted areas with lavender are anticipated to grow between 200-300 hectares/ year in north east Bulgaria, which produces an estimated 75% of Bulgarian lavender. Projections for 2019 peg the lavender oil production figures at an impressive 600 tonnes if the plantation and climate remain favourable. In 2017 rose oil production reached record levels with a number of companies holding sizeable unsold stocks; thereby putting downward pressure on prices. Some companies have even claimed that they will not produce rose oil in 2018 but we will see. On a positive note, it is good to see the return of rose oil reserves, which should facilitate greater market stability going forward. However the issue seemed to be the non-availability of good quality oil at all times. Some major disturbances like the hanging of too many petals prior to the distillation process have impacted the quality of rose oil. There was a slight uncertainty over the oil supply as some producer circulated blended oil from Iran and Turkey and sold it as pure Bulgarian oil. The surest way to ensure that you are buying the authentic product is to purchase a PGI certified grade. This is a guarantee of the oil being 100% authentic and pure Bulgarian rose oil. In 2017 despite sufficient supply quantities, prices were dearer than average due to a large spike in demand. There has been a growing interest in this herb due to its deep blue colour and medicinal aroma that the aromatherapy market has started to adopt. Over the past few months there has been an unprecedented increase in demand rather than shorter supplies; and markets witnessed escalating prices. China’s price rose last year as the production declined from 2,300 MT to 1,500 MT as a result of inclement weather. With the lack of stock and active demand, prices are firming up. New oil will be available by the end of April at the earliest. Demand for clary sage oil is on the upswing and one source suggested production of 25 MT in 2018. Prices have fallen this year to more competitive levels as compared to the global markets. However, the uncertainties in supply and quality have made this Chinese oil the third choice as compared to its Russian and French counterparts. There has been no major improvement specific to the Eucalyptus Citrodora supply situation. Production forecasts anticipate that output will be smaller than that of last year. From the farmers’ perspective there is less enthusiasm to cultivate and harvest, thus indicating possible price escalation. It is recommended that you cover your needs. The production of garlic oil has been stopped by the factories, which have been affected by environmental factors, labour costs and rising raw material costs etc. With no real foreseeable positive changes on the horizon regarding environment protection orders and other rising costs, prices have plateaued at current levels. There has been adulterated “natural garlic oil” circulating in the market by companies who add other natural substances to the oil that even the C14 test is unable to detect. With very little chance of further decline in garlic oil prices, customers are advised that it is an ideal time to purchase after considering quality factors and not base your decision on price only. There has been a continuous pressure on supplies with increasing demand but output has declined more than last year, and prices continue to rise. At present, the limited carryover stock available suggests that the upward pressure could continue. The crop season starts in May and continues until September. If weather conditions improve in the growing areas, there is hope that the additional plantings could help ease the pressure on supply. 2017 saw a steady price rise for ginger oil, since most of the production was made to order due to environment protection orders. Supplies remained difficult as environment protection orders imply that farmers have not been able to distil much oil even when raw material has become available. 2018 started on a more positive note and the market appears to be more balanced. Chinese New Year prompted the price for raw materials to firm up somewhat. Over the past couple of years, Chinese quality lost some presence in the international market place as other origins continued to blossom. But still, all oil is sold out and there is no oil left in the market. Coupled with the increase in current demand, there is an acute shortage of supply. 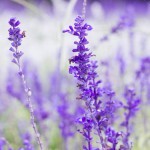 The increased demand is due to the higher content of lavandulum acetate in Chinese lavender ranging from 5-11% whereas European origin have LA content much lower, to the tune of 2-4% on average. There have been heavy investments in new plantations, expanding the total growing area by cultivating many hectares of the crop. Overall lavender volumes in 2017 lasted the market for the whole year with no supplies remaining available as we entered into 2018. 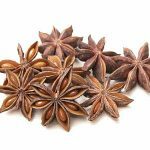 Output of new star anise oil is small due to adverse weather conditions. Supply is limited and prices continue to reach astronomical levels due to lack of labour and the cold weather. The start of the star anise oil season is April and May in summer and November and December in winter. The market is expected to remain stable until the Chinese New Year and then to firm up when demand re-appears. No real changes as the market remains stable with the price level similar to recent years. As the crop season has started there is an increase in production over the previous year keeping selling prices very close to the cost. 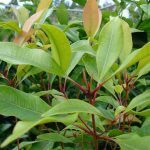 Buyers should be careful while dealing with Chinese tea tree oil as according to the analysis conducted by the Australia Tea Tree Industry Association, many samples from this origin were adulterated. Supplies have stabilised after a short period of uncertainty; perhaps the only one product from the Yunnan Province where this is the case. With this crop, we have too much of a good thing. No wonder helichrysum essential oil is called “Gold of Croatia” because it is as valuable as gold, maybe even more. After all health is more valuable than wealth. The crop was good last year as a number of new plantation areas saw an upsurge in production. Currently enough quantities are available. However, quality is quite different and also there is a revival of demand. Prices are expected to soften over the coming months. The lavender essential oil produced in Croatia has a light, refreshing, crisp aroma different from other modern day lavenders. This hybrid lavender is more reminiscent of traditional lavender notes, somewhat more camphorous with pine notes. There are some plantations in the Dalmatian area but there continues to be a significant amount of wild harvested material available in the market, which makes for a great story. Dalmatian oil is thought to be different due to its growing environment. High quality soil, a temperate climate, and the steep rocky slopes along the coast, gives this lavender different characteristics. A major selling point in the fragrance markets is its cost. The price of Dalmatian lavender has always hovered somewhere between the costs of lavandin and other European lavenders. The crop harvest was lower than usual and prices did increase. However, it is too early to comment about this year’s crop. It is also considered that due to its natural composition, Croatian lavender acts as a more powerful antiseptic than other lavenders. Last year’s harvest started in early August and finished in October. During 2016, there was a deficit in supply in the market. As a result, prices rose dramatically in early 2017. The high prices are due to farmers’ unrealistic price expectations for their oils. For this oil there appears good availability in the market but a high price range. Seeds are planted after summer and the distillation occurs around March. Growing conditions for blue chamomile oil are favourable, and the projected harvest yield is the same as last year’s crop. This year’s quality crop is good and the price is stable at the moment. Overall demand appears to be stable. The market in 2017 remained robust, as there was carryover of stock from last year; obviously there were no problems with supply. When compared with other origins the prices of Egyptian quality remain on the higher side, but some clients preferred to pay the premium for this grade. After the 2017 harvest demand and supply appear well balanced and prices remain stable. The crop will begin a new season in May 2018. As per previous reports, there appeared no way to predict the market prices for this product as the material seems to defy all supply and demand patterns, and at times has its own external influences. But in 2018, after the end of year vacation, price appears to be at attractive levels. There are several reports indicating that China is buying Egyptian oil to supplement their own production, which is turning into a real business opportunity. There was a bumper crop in 2016 leading to a crop surplus still existing before the start of 2017 season. As a result, the markets were brought back into line after the 2017 harvest as producers purchased smaller amounts of flowers to produce a lower quantity of oil. Currently, the market is stable. There are few stocks at origin but probably just enough until the next season in June 2018; which will keep the general market satisfied. The growing conditions are favourable and it is expected to be a good crop. 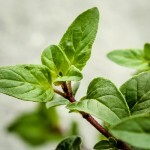 We observe marjoram oil prices to be at steady levels; also supply remains stable in the market. Last year the market stagnated with little production and interest to gowith it. Despite this, small volumes available at origin helped appease the general market sentiment. There has been a significant growth in production as French producers have been investing heavily to expand their clary sage growing areas. There is now an estimated figure of around 2,000 hectares of clary sage plantation in the areas near Provence. The markets have absorbed increased volumes, thereby prompting prices to shoot up. Production estimates for 2018 peg the figures at similar volumes to those of 2017. Continued investments in new plantations have resulted in the expansion of growing areas, increasing to 200 hectares in 2017. In 2018, this figure is estimated to reach 300 hectares. It has not made a significant dent in the oil volumes; however it has sparked interest from end users looking for an alternative source for their coriander needs. The strong demand has increased the pressure on the oil production. Prices continue to rise. 2017 recorded production of around 15 MT; the output is declining on a yearly basis with only 700 hectares of plantation remaining. There is little material currently remaining in the market but there is also little demand; since most end users have now turned to reformulations to ensure that their product is not at the mercy of an oil facing extinction. 2017 experienced a sudden drought that damaged trees and adversely impacted production. The season in 2018 has to start with the replanting of the seeds that need to be established in many of the affected areas. Fortunately, winter has been wet and this has helped new plantations. As there is no carryover of stocks in 2018, traders look to make higher margins on the reduced volumes from their last year allocations. Since demand is very high for this product, prices would certainly firm up. This segment has witnessed continued year to year decline, from 30 MT in 2016 to 25 MT in 2017. The droughts that have hit the cultivating areas since spring have had a detrimental impact on crop and production. This has led users to look for other lavandin origins such as Spain. 2017 saw severe loss of crops due to the late frost formation. The enlarged growing areas have, to an extent, offset the damage caused to last year’s production. The projections for clonal lavender peg the production figures to go down by 10% and Mailette by around 15%. With a stable market situation the total production of all types is estimated to stand at 70 to 80 MT. The total area of Melissa plantations covered 2,100 hectares in 2017, from 1,000 hectares in 2016. This has brought some welcome stability to the market, as supply has caught up with demand. However, the prices fell at the end of 2017. The main reason was that after execution of volumes for export, only a few companies are buying the oil, thereby pushing down the price. Total production is rapidly increasing as there is a sufficient amount of raw material available and there will be no shortage in the coming months. Overall demand has increased over the last 6 months. There has been stability in oil for the last two months with an increase in demand expected in the near future. The major areas of concern are high fuel prices, which are affecting production and also shipping costs, which have almost doubled in the last few months. Production has been badly affected due to heavy rains and floods in Haiti. Vetiver oil is always in demand but due to adverse weather conditions there is a scarcity of raw material and there was nil production in the last two months. 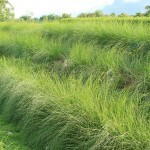 A major concern is that vetiver’s popularity and resultant high demand could lead to a hike in raw material prices. This in turn would impact the cost of production and subsequently the market price. High fuel and freight charges have impacted the selling price. Shipping costs have almost doubled over the last two months. The year 2018 opened with almost nil carryover of stock from last year since total production and carryover supplies just balanced out the current demand. This has caused prices to surge at the beginning of 2018. However, expectations from the origin are positive as prices are expected to be lower at the time of the new crop in June/July 2018. The year 2016 remained unstable with only 4 MT oil available after harvest. However in 2017, production was significantly better with a reported 7 MT oil available after harvest; an increase of 3 MT from last year continuing varying qualities and prices. The crop season of year 2018 will begin in March. Year 2017 witnessed a decline in production by around 10-15% due to inadequate rains in the main producing areas. This has impacted prices, which have escalated by similar margins. But moving on, the year 2018 may put further pressure on prices with little carryover stocks thought to be available. 2017 was a balanced market with no shortage in supply. On the other hand, neither was there any surplus stock to ease prices. Supplies continue to remain thin; thereby leading to expectations of a price rise in the early part of 2018. It seems parties involved with oil find it difficult to give a clear picture as to how volatile the market is. The 2017 crop yielded poor results due to disruption of the harvest owing to excessive rainfall. As a consequence, 2018 is expected to begin with a challenge. The supply situation is rather discouraging since the 2016 crop was short for some time and the 2017 crop did not deliver any carryover stock. The same can be said for year 2018; prices are projected to remain constant with the next crop still some time away. The new season for the crop starts in January. The market showed a strong balance in supplies and prices, which are expected to remain stable at today’s current levels. Year 2017 saw a slump of 70% in planting compared with 2016; that is 300 MT less oil in real terms. Farmers achieved a better return on their crops so it could encourage more planting in year 2018; however there are no reports of extra planting initiatives. June 2018 will usher in the new crop season to herald a much-awaited drop in prices. Current demand is good and with sufficient supplies in the market, prices are stable. However the pure grade is limited; there is a lot of poor quality material with mixed pricing circulating in the market in recent weeks. Our advice is to be wary of what you are buying. The crop’s new season in 2018 is expected to begin by June and prices are projected to fall with the arrival of the new crop.. 2017 witnessed a 40% decrease in planting, following a pattern similar to all other mints. The current demand remains unwavering with sufficient crop availability to meet demand. 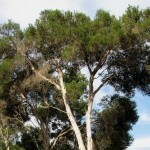 The Cajeput market has most recently been affected by the fluctuation in supplies of Eucalyptus. Consumer brands (ex. Eagle Brand in Indonesia) that typically have a large requirement for Eucalyptus oil have turned towards Cajeput as an alternative. This sudden focus on Cajeput has led to increased demand, and also sudden increase in prices. Adverse weather conditions due to heavy rain and strong winds in the cultivation region have badly affected the harvest in December 2017 and January 2018. However, market demand continues to remain steady. The demand for citronella oil is high, and supplies are somewhat constrained due to multiple factors, including a large local demand for use of the oil in insecticide formulations and cleaning solutions, as well as citronella derivatives for export. Prices remain firm and we predict that the price will continue trending upwards until new sources are established. There are several qualities floating in the market (with variations in composition of citronellol, geraniol, etc.) so buyers are advised not to make decisions based solely on the prices being offered, and take samples to better evaluate what they may be looking at. With an improvement in weather conditions and sporadic rain, prices are stabilising in the current scenario. Supplies are beginning to ease out, with farmers and distillers turning to clove leaves as the supply of clove buds and clove stems has reduced. Demand remains strong, and as we hit a sustained period of dry weather we see prices improving. Also we do not expect it to go down to the late 2016 / early 2017 levels anytime soon as the same weather conditions do not prevail. 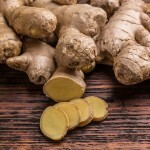 Ginger oil has strong demand from the market and prices continue to remain firm. Due to many variations coming from different parts of Indonesia, there is an ongoing concern regarding quality, since many of them have low zingiberene content. The processes to bring material up to a standard are available at high cost. 2018 is going to be an interesting year for massoia bark and its derivatives. We anticipate new producers entering the market with newer and more efficient technologies that will result in a better product overall, which will be priced more competitively. The market is set to witness a lot of action; and dynamics are bound to change. With the end of the harvest season price tends to move upwards. Also available stocks seem to be limited, and we would recommend that those with a secure consumption of nutmeg oil book their requirements soon. 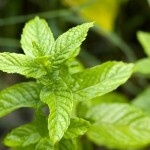 Sulawesi: The March prices of patchouli are a little higher than February rates. While the new harvest has somewhat eased supplies; prices still remain firm because the drying and farm level distillation have been affected by frequent rains. Some producing areas in Central and South East Sulawesi are also currently experiencing damaging floods. Prices remain firm prompted by a healthy demand. Sumatra: The market is unwavering in terms of no new demand. Consequently, supply sources and prices also remain unchanged. There is a compelling shift in attention to the relatively lower priced Patchouli Sulawesi; as a result we foresee a significant decline in Patchouli Sumatra production in 2018. Vetiver prices are steadily rising. Currently, there are several grades of oil in the market, distinguished mainly by the acid value variations. Lack of communication and complexity of cultivation are the biggest hurdles in the wide scale adoption of vetiver. Garut retains its position as the foremost vetiver-yielding region, even though; some cooperatives in regions in and around Java have begun to cultivate it. Prices of vetiver oil vary significantly due to differential pricing offered by exporters. We recommend that you evaluate samples prior to making a decision solely based on price. The total production volumes of vetiver are expected to remain low in the first half of 2018. The new crop started in November last year and it seems to be slightly better compared to the last crop. However, for a few years, bergamots have also been sold into the fresh fruit market. This has pushed up the prices of the fruits, which were generally used only for processing purposes and not sold to the fresh fruit market. The very high prices for the fruits are pushing more fruit to the fresh fruit market. As a result, with very little fruit for processing, the price for the oil is extremely high. The season is in full swing, but lemon harvesting is proceeding slowly. Due to the hike in fruit prices many processors are facing greater financial difficulties and tension. Prices are likely to increase and probably remain at higher levels through the year. All crops are suffering from last summer’s drought leading to a decline in production. There is still a lack of sufficient rain. There is an effort to recover the low volume processed in the previous period. This year, availability of green mandarin oil from different origins is overshadowed by the restricted supply of top quality red mandarin oil. This is confirmed by Sicilian producers, who are reporting a smaller crop in 2018 compared to 2017. The new crop has already taken place with the production of yellow and green mandarin oil. The crop is continuing with the production of red mandarin oil and overall is more or less comparable to the previous season, therefore prices are stable. This season is one of the better ones in recent years. The crop is available in good quantity and at reasonable prices. Though the orange fruit is small, the quality of the juice and the oil is reported to be fine. The long drought period during last summer has affected the crop, and a lack of rain is still reported, leading to slower than expected production. The typhoon Ava hit the North East coast of Madagascar in January, leading to colossal infrastructural damage in Tamatave (Toamasina). Fortunately, vital areas for clove production were saved from the brunt of the storm; however, farmers now confront the mammoth problem of transportation to the port. The scene looks bleak since farmers have turned their attention away from clove oil to clove spice and vanilla, which yield better returns. If current prices hold, they will be reluctant to return to distillation. Consequently, clove leaf distillation, which was expected to resume towards the end of February or the beginning March, is now delayed until March/April. There has been an increase in lime plantations across Mexico, but we estimate that the lack of raw material for processing will last about 2-3 years before the situation balances out. 2017 was a normal year for the lime crop with 2.4 million MT of key lime harvested and 1.5 million tons of Persian limes. However, the fresh fruit market is very active, taking an estimated 92% of the crop. Tonnage available for processing has fallen from 500,000 MT in 2017 to an estimated 300,000 MT in 2018. The eastern side of Mexico is currently experiencing colder temperatures than usual. Although it is still too early to confirm any damage on the trees, it is a situation being monitored daily, with some possible damage to the Persian lime crop being expected this year. Demand for juice remains steady, causing prices to firm up for new contracted volumes. There have also been more applications for acidifying purposes. The demand for lime oil fell in 2017 as some major users reset their stock levels, enabling prices to stabilise. However, oil demand is expected to grow in 2018.
last crop, and about 1.7 million MT is expected to be processed. Mexico is becoming a larger player in the global world of orange even though 80% of all fruit grown here goes to the fresh market. There was no carryover supply leading to persistent pressure on the market. This year, the crop season started in February with very limited local supplies. The floods in the Terai plains had a harsh impact on crop yields. 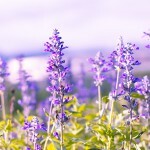 Demand has increased for the isolation of natural linalool following the issues faced with the lavender supply adding immense additional burden on the market situation. 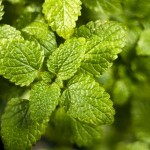 Demand shows a significant increase as new applications and aromatherapy brands are entering the market. There is pressure on the supply chain as surplus stock, which has been accumulated to support growth, has been deleted in recent months. Once the success of other brands and new products is realised and copied by others the demand is expected to go up. Despite few minor supply delays, activities in New Zealand should help support this growth long term. Year 2017 witnessed problems with overall supplies in the market. In the months when demand is low there is not much of a challenge; but in other months when demand peaks there is almost a crisis. Unlike last year, which faced supply issues, we are optimistic about a balanced market in 2018. The market showed a healthy balance after a good season, which also saw continued production with sufficient availability of good stocks. However CITES regulations, expected to come into effect during the first half of 2018, are likely to constrain supplies and put upward pressure on prices. In 2017 the lack of stock in the pipeline during the off-season eventually led to a huge problem. The harvest season of petitgrain starts in October and runs till March. As the orders come in quicker than supply, it adds to the existing supply issue and leads to the possibility of higher prices. Peru’s severe drought of 2016 was a major concern since the lack of rain resulted in a less mature citrus crop. Subsequent flooding during an El Nino disturbance also affected the Piura region, Peru’s largest lime-producing region, accounting for 57% of the country’s production. The new season started in January 2018. Due to adverse weather conditions the crop production has declined and with this shortage of fresh limes, prices have drastically shot up. In 2017, unusually hot weather locally destroyed plantations with very little oil produced, just one third of a usual year. In 2018, the season is expected to begin in September. When it comes to its thujone content the material represents one of the best value oils on the market. It is much higher than other origins and usually available at more reasonable prices. During 2017 production slumped due to a drop in demand; though there is sufficient stock available. The prevalent good weather conditions have buoyed hope for the new crop, expected in June 2018. 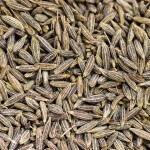 Harvesting of fresh material will be based on orders received from buyers, as most growers will let the plant seed and harvest later to produce coriander seed oil. Furthermore, since the shelf life of coriander herb oil is very low, as it oxidises very quickly, it is not possible to hold stocks for long periods. 2017 experienced the nadir of oil prices as a result of existing seed stocks and low demand. This prompted farmers and collectors to offload stocks at ridiculously rock-bottom prices. Given the hurdles of storing seed but not oil, there was excess supply. The sufficient oil stock carryover from 2017 may lead to a 30-40% reduction in growing area in 2018. Demand from the spice market seems to be bouncing back; therefore, expect seed prices to escalate and as a consequence the oil prices would rise too. 2016 left the market in a healthy position; there was increased production following good weather conditions and a simultaneous rise in demand. However, the 2017 crop was not as good as the 2016 crop due to changing weather conditions. But, in general, sufficient production kept prices stable. The 2018 new crop season is expected to start in July/August subject to weather conditions. In 2017 there was a slow movement of supplies as the Siberian winter went on a little longer. But with the weather changing for the better the production figures increased in summer and ensured the availability of reasonable material. The new crop is expected to become available in April/May 2018. However, producers have already declared elevated selling prices as the strong winter has led to significant escalation in processing costs. There continues to be a strong growing demand for this oil. During last year there was a decline in production as there were a handful of plantations left with no real new investments in plantations. However, some limited stock is available, but with growing demand, market sentiment is positive and awaiting the new crop harvest this summer. The 2017 season started in June and continued until October. The real news on the new crop will be clearer in June. However, 2017 saw better managed farms and sustainable planting, allowing an offering of around 20 MT per season. South Africa has become more active in this essential oil and is now well positioned to compete in the global arena against Brazil and China. About 75% of grapefruit in South Africa is produced in the Limpopo and Mpumalanga regions. According to a USDA report, South Africa’s grapefruit production is expected to rise 9% to 400,000 MT, based on a boost in production area. Out of the 400,000 MT produced approximately 147,000 MT are expected to go to the industry for processing. Exports are forecast at a new record with the higher supplies. The only major concern is the lack of rain in the Cape region, which could have a negative impact on the citrus crops in those areas for the upcoming season. Watch this space in the coming months for further news of this growing origin for grapefruit. The side effect of the 2016 drought still prevails as the trees slowly recover and bear fruit. The European Union and Russia remain the major markets for South African oranges. With improved rainfall in 2017, better results were there in fresh fruit, though oil yields went down by 35%. The production of oranges for the 2017/2018 crop is expected to increase by 2.0% to 1.43 million MT as compared to the last crop and an estimated 13% of the crop will go to the processing industry. Tagetes enjoyed a favourable season in 2017 and resulted in positive vein with conditions leading to good yields. The new 2018 production season will begin shortly. Favourable weather conditions with sufficient rain and cold weather indicate a good yield in 2018. As the season in South Africa runs from April to October, output estimates will be available from the end of February. At present, the availability of sufficient stock suggests that supply will be greater than the current demand. In the case of organic tea tree, the current demand is strong for this material, and it is expected to remain so for 2018. The crop in 2017 was sold immediately after production. Spain enjoyed a reasonable 2017 season but that wasn’t enough to fill the gaps left by the French in the global market. In addition, there are two major issues, namely that it is difficult to obtain firm offers for any volumes, and obtaining quality approval is difficult since almost all samples analysed this season have been adulterated. The markets have been fairly flat with some carryover stocks still remaining. 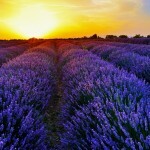 Given the poor lavender season many are expecting, demand may increase. Expect prices to firm in the near future. Spain accounts for approximately two-thirds of EU lemon production and is the world’s second largest processor after Argentina. According to the USDA, the 2017/2018 marketing year forecast for the Spanish lemon crop was 967,900 MT a 2.8% decrease on the previous year’s output of 995,900 MT. 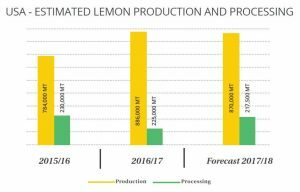 AILIMPO’s more optimistic lemon harvest forecast was 1,115,000 MT, a decrease of 3.7% on the 2016/2017 season’s output, which ended on 31 August, with 1,157,800 MT. The main factor behind the decrease is the estimated 40% fall in the Verna variety output due to high temperatures affecting flowering in May and June. 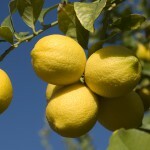 Verna and Fino are the two main varieties of lemons produced and production of Fino is predicted to rise by approximately 12% as a result of the new production areas established in the past few years. ease market pressures. However, pesticides use is still of some concern. Nevertheless, Spain still plays a key role in the regulation of the market dynamics. In the current situation the prices keeps strong with few signs to decrease. The main Orange producing areas are the regions of Valenica, Andalusia and Murcia. The leading orange varieties grown in Spain are Naveline, Navel, Navelate, Salustiane, Valenica and Sanguinello. There has been a continuous contraction in the Spanish orange industry over the past 5 years as poor returns have caused many Valencian growers (which are better for oil processing) to give up orange groves in favour of other profitable plants. Spanish qualities are rich in aldehyde, odour and colour, but as soon as the Brazilian producers start to decrease prices it can be a problem for the Spanish producers. The production was under pressure because of past heavy rainfalls and the decreased availability fresh fruit. Today there is little oil available in the market and we expect prices to be firm. The gross production volume comes from wild harvest. The news from local farmers seems to be positive. The earliest batches will be produced in late April. There are few stocks currently with traders. 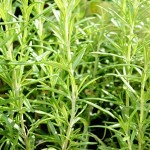 It is early to predict the production of thyme oil. Earliest harvest will be next June. At the moment the climatic conditions have favoured the crop. Farmers are confident of a good production year due to the quantity of water retained on the soil during winter. The demand continues to be strong and the price would remain stable. The market remains unremitting with strong demand and limited raw materials eventually resulting in price pressures. Current conditions indicate that there will be no change in the foreseeable future. The crop harvest season started in May and ended in December with good supplies expected at the start of year 2018. However, collections have been slow and stocks of oil are limited due to major drought in the harvest area. There is an apprehension that this will ensure mounting pressure on supplies if demand makes a strong comeback. The 2017 season started in late March and ended in early August. The crop faced challenges from the limited availability stock in the last couple of years. However now, as supplies are improving and moving towards a healthier situation, a price drop seems likely in the near future. 2018 started with a stable market and a good crop with no real changes ahead. Demand for oil is touching new highs, and new crop availability is expected in August, during the summer season. The issues arising from years of decline due to citrus greening continue to remain the same. Hurricane Irma blew immature fruit off the trees, continuing to put additional pressure on an already fragile market. Total grapefruit production in the early season of 2017/2018 was forecast at 4.65 million boxes, of which, 3.8 million were red fruit and 0.85 million were white fruit. As per USDA report, the production is projected to drop more than 20% to 481,000 tons, reflecting losses mostly in Florida. As greening continues it adversely affects production, as very little fruit is available for processing, export or domestic consumption. Reduced availability of fruit for processing has sent oil prices spiraling out of control in recent months. Estimates of fruit size and droppage rates have been finalised with larger than average size for both whites and reds, and significant droppage. 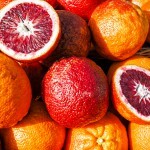 January month end row count surveys show 71% of white and 62% of red grapefruit has been harvested. The impact of hurricane Irma will be felt for at least three to four years due to flooding in the groves. Tree roots have suffered in standing water, which has caused root rot with many trees dead or dying, at which time growers will face the decision of whether to replant grapefruit trees at a time when the juice market continues to decline year-on-year. In conclusion, since Florida remains the largest supplier of grapefruit oil to the world, 60% to 65% of that total production goes to Japan: it means there is going to be very little supply of oil available in the spot market. Among all the citrus species, lemons are the most frost-sensitive; minimum ambient temperatures should not drop below freezing point. Perfect for flavouring beverages or adding as accents to culinary art, the lemon is grown as fresh fruit and for their peel oils. Lemons have been commercially cultivated in California and Florida since the 1800s; but due to a killer freeze in the winter of 1894-1895, commercial lemon culture in Florida was badly hit and eventually died a natural death. It was the growth of the demand for frozen lemon concentrate that enthused farmers to resume lemon cultivation decades later. The USDA forecast for the 2017-2018 United States lemon crop is 870,000 tons, down 4% from last month and down 2% from last season’s final utilisation. The California production forecast, at 20.5 million boxes (820,000 tons), is down 2% from last month but unchanged from 2016-2017. As the fresh fruit market for lemon continues to strengthen, there are some concerns that the current 20% that goes for processing could considerably reduce in the near future. The USDA forecast released in February estimated the Florida crop to be 45.0 million boxes, some 2% down on its January estimate. This is 35% less than last season’s final production of 69 million boxes and dramatically down from the peak of 244 million boxes in 1998. The total includes 19.0 million boxes of non-Valencia oranges (early, midseason, Navel, and Temple varieties) and 26.0 million boxes of Valencia. A further decrease had been expected because of the recent freezes in Florida during the week of 14 January, 2018. This year’s citrus crop will be the lowest production in more than 75 years for Florida and the industry remains in crisis. Prior to hurricane Irma which moved through the middle of the state on 10 September, 2017, Florida had seen a turnaround and was expecting a better crop than last at about 75 million boxes, which would have been the first upward trend in production in many years since greening (HLB) destroyed a large percentage of orange trees. 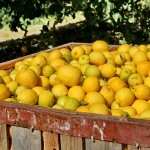 Orange EU: Orange forecast is expected to be at 6.2 million MT, which is a 7.7% decrease as compared to the last crop. 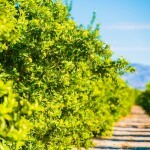 Orange Mexico: Orange forecast is expected to be about 4.6 million MT, which is about the same as last crop and about 1.7 million MT is expected to be processed. Orange South Africa: The production of oranges for the 2017/2018 crop is expected to increase by 2.0% to 1.43 million MT as compared to last crop and an estimated 13% of the crop will go to the industry for processing. Even though Florida is the largest orange producing state in America and the third largest orange producer in the world (after Brazil and China) and 95% of the fruit is processed for juice, leaving very little for fresh fruit consumption. The ‘Severe Tropical Storm Talas’ hit the cultivating regions in 2017 and brought down output significantly as a large proportion of the crop was destroyed. The harvesting season for the crop usually takes place between September and December. Under normal circumstances and ideal weather conditions Vietnam produces 25-30 MT, but it is feared that figure could be 50% less once the final output is calculated. Yen Bai, Lao Cai region in Vietnam produces 700 MT of cassia oil. There are also some trees found in Quang Nam, Central Vietnam. The main harvest period runs from April to June and yields the higher cinnamic aldehyde content of around 85-90%. The second harvest period runs from September to November, when yields fall to 75-83%. Currently, there are sufficient stocks available to meet demand.